3D Printing is a revolutionary technology, that’s capable of turning a design in your head into a physical object. However, it can often be confusing at first, and a difficult concept to “wrap your head around”. I personally love 3D printers, and I would love to explain what they are (and how they work). It all starts with an idea in your head. You can either choose to design your own object, or to print one of the thousands of designs on Thingiverse (or other online websites). If you would like to design something, you need to download a modeling program. (I use Fusion 360, but there are easier programs out there too). Whichever path you take, though, the end result is a 3D file (typically in the .stl format). From here, you import your model into a slicer. The most popular one is probably Slic3r, but there are other programs out there too (such as Cura and Simplify 3D). This slicer will then generate a .gcode file, which is your model sliced into thousands of tiny layers. Once you have the G-code, you then load it onto your printer via USB, Wifi, Ethernet, SD card, etc. From here the process varies by printer, but you generally start by preheating, cleaning the printer and build surface, performing maintenance (if needed), loading filament, etc. until the printer is ready to print your object. 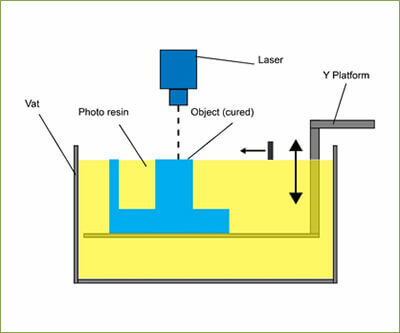 This is how FDM printing works. 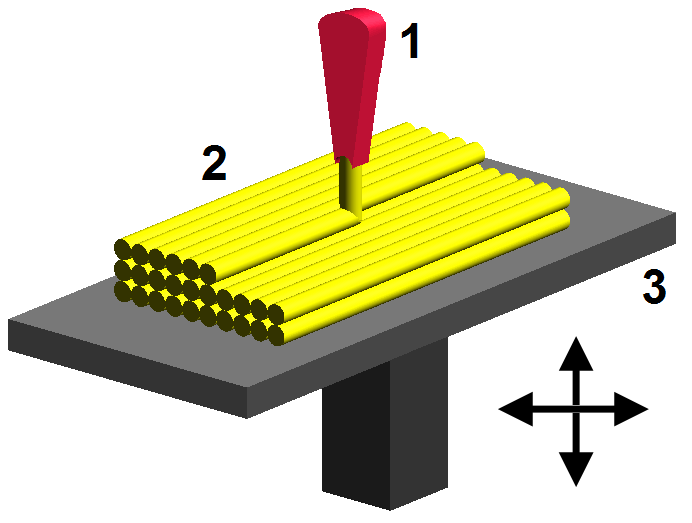 1= Extruder 2= Molten Plastic (filament) 3= Build Platform Image source: Wikipedia, made by user Zureks under CC Attribution-Share Alike 4.0 International license. 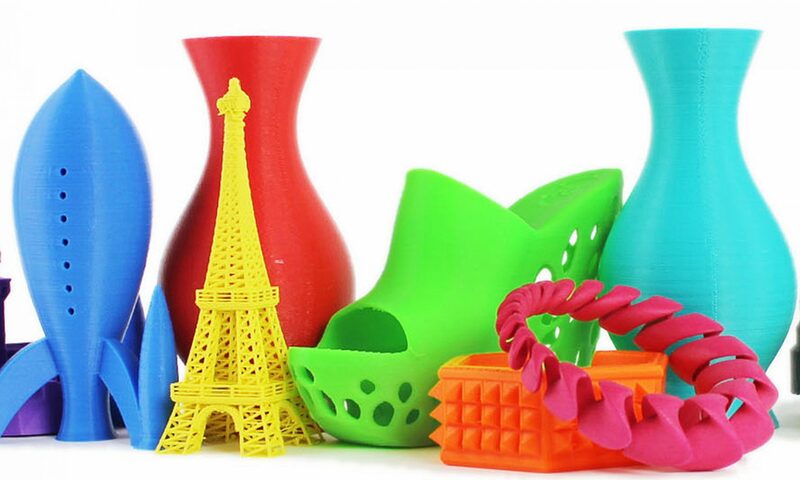 3D Printing is an emerging technology, but it has uses in many industries. It’s commonly used in the medical industry, and scientists are already printing prosthetic ears, fingers, and other limbs. 3D Printers can also be seen in the fashion and culinary industries too (i.e printing dresses or printing pancakes). Note that it printing in the above industries often requires special technology and more advanced printers, that are not found in desktop machines. However, the most common (practical) use for 3D printing is in the mechanical and prototyping industries, as 3D printers are great for rapid prototyping, iteration, and design. 3D printing is a truly incredible technology. It’s used in a variety of applications, and is constantly becoming better and easier. In fact, 3D printers were being used back in the 1900’s! However, they were huge, clunky, and inaccurate, and extremely expensive. Now, most 3D Printers are five times as accurate, and are a fraction of the cost. If 3D printers keep expanding and evolving at this rate, I believe everyone who owns a 2D printer will soon have a 3D one too.